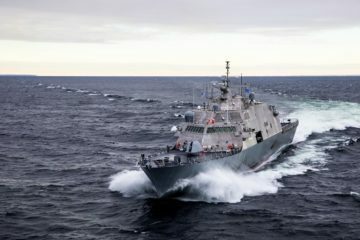 You are at :Home»Posts Tagged "Littoral Combat Ship"
Construction on the future USS Canberra (LCS 30) began on Feb. 22 in Austal USA's module manufacturing facility. 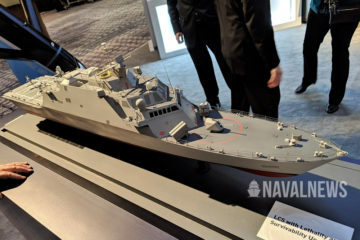 Dave Growden, native Australian, LCS Program Director and a 30-year member of Austal USA's team, had the honor of pushing the button to start the router that cut the first piece of aluminum, signalling start of construction for the 15th Independence-variant littoral combat ship. 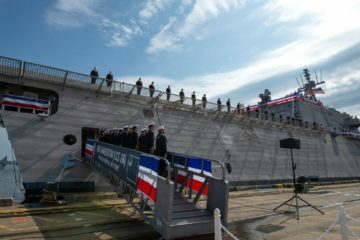 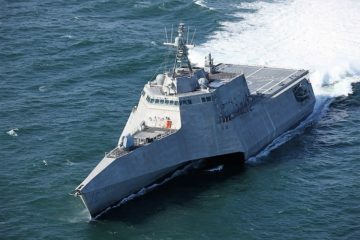 US Navy's future USS Cincinnati (LCS 20) successfully concluded acceptance trials in the Gulf of Mexico Feb. 8, following a series of in-port and underway demonstrations for the Navy's Board of Inspection and Survey, US Navy PEO Unmanned and Small Combatants Public Affairs said on Feb. 12. 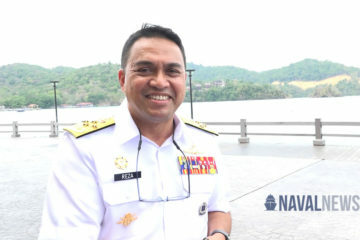 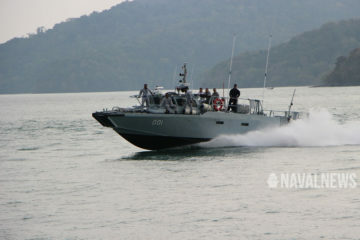 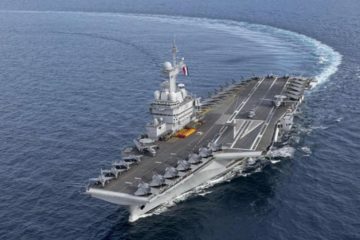 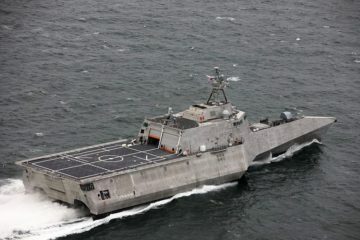 The Secretary of the US Navy has named littoral combat ships 36 and 38, Austal USA said on February 5. 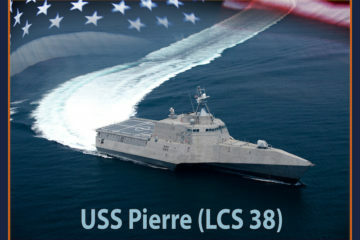 LCS 36 is the USS Kingsville after Kingsville, Texas, and LCS 38 is USS Pierre after the capitol city of South Dakota. 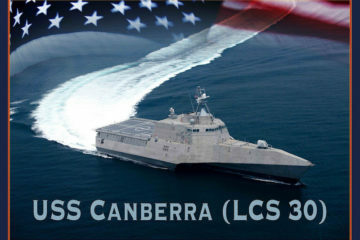 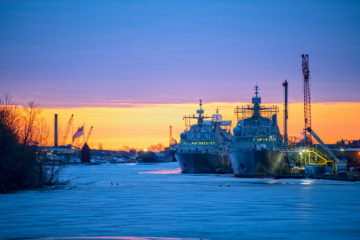 Austal USA is proud to announce the name of littoral combat ship 34, USS Augusta (LCS 34) after the city of Augusta, Maine, the shipyard announced on January 31.